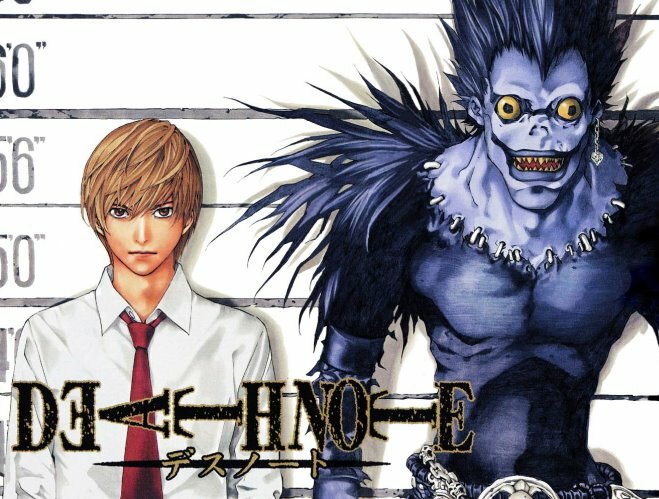 So, Erica has this new comic book she's using to practice her Japanese called 'Death Note'. It's about this kid who finds this note-book dropped by one of the gods of death and uses it in a crusade to wipe evil-doers off the face of the earth. I've only read about half of the first issue so far, but it's pretty good and I like the drawing style. However the coolest thing of all has got to be the fact that the god of death is named Luke. I mean Luke is like a totally awesome name and everything, (yeah, right..) but for a death god you'da thunk they coulda come up with something, I don't know, a tad more menancing and fangorius, y'know? 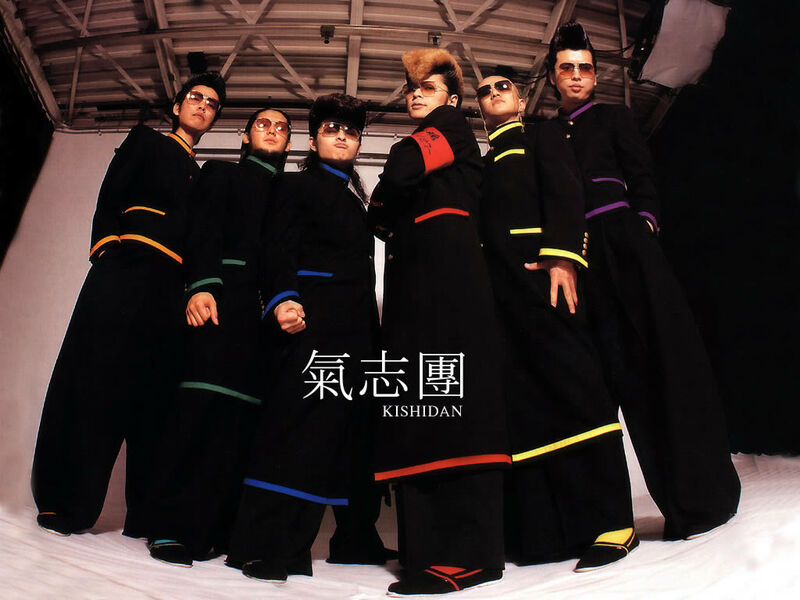 Coming Soon: My Adventures with Kishidan! I know, I know. I'm lazy and I haven't posted anything in weeks, but I will, I promise. 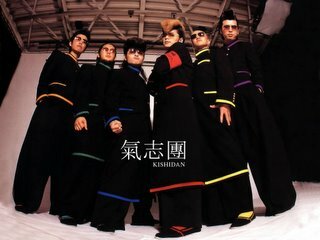 In the meantime enjoy this pic of the guys from Kishidan.